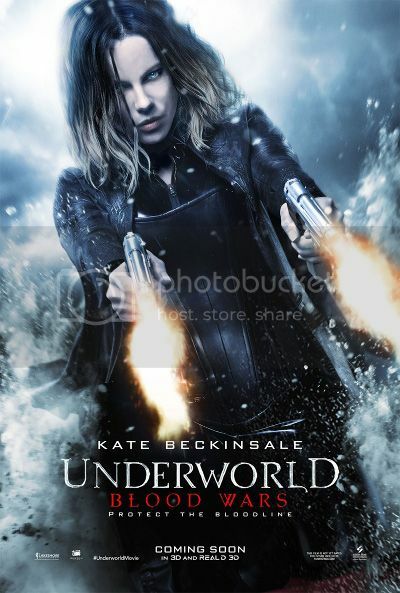 "The next installment in the blockbuster franchise, UNDERWORLD: BLOOD WARS follows Vampire death dealer, Selene (Kate Beckinsale) as she fends off brutal attacks from both the Lycan clan and the Vampire faction that betrayed her. With her only allies, David (Theo James) and his father Thomas (Charles Dance), she must stop the eternal war between Lycans and Vampires, even if it means she has to make the ultimate sacrifice." 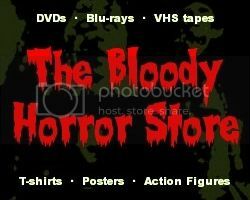 Considering that I've already bitched and whined as much as is humanly possible about how disappointing this entire series of "black and blue films" is overall, all I'm really doing by reviewing "Blood Wars" is repeating what I said about "Underworld: Awakening" four years ago but with a few extra names dropped in. Sadly, I've watched these movies get worse with every sequel (or prequel), and I'd almost forgotten what happened in the last one until I read my own review. Suffice it to say that with a running time of just over an hour and 20 minutes (including 4 minutes of recaps at the start and several more minutes of flashbacks scattered throughout), there isn't a lot of anything new here. It's already obvious that it's not going to be the last of the "Underworld" series, but it's easily the weakest so far and reeks of being another half-arsed filler. "Underworld" really should have been a TV series after the first theatrical release if this is the way they are going to play it. Obviously, Kate Beckinsale looks fantastic again. Also of note is Lara Pulver as Semira. She looks like a more perfect version of a young Sigourney Weaver from certain angles, but occasionally she has the air of Eva Green about her too. It's almost the same deal with Theo James who reminds me of a younger Julian McMahon, Bradley James who looks like Mads Mikkelsen playing Le Chiffre in "Casino Royale", and James Faulkner who resembles Albert Finney way too much. Maybe the casting director thought they were trying to make a lookalike compendium of the latest James Bond films because that's what they've ended up with, give or take a few werewolves and vampires. Whatever the case, the plot is weak, characters aren't given enough time to develop, and every slow scene seems to be designed as a hindrance rather than an attempt to progress the story. Consequently, if you only see the last 5 minutes, it will be enough to prepare you for the next installment, because the padded action sequences are nothing memorable either. A couple of important characters are completely wasted, but I'll say no more than that. Maybe it's an intentional contempt for the audience, or maybe it's just inept filmmaking, I'll let you decide for yourself. Although the choreography improves later on, the majority of the action scenes are little more than a bunch of extras who no one cares about getting confusingly slaughtered in the background to the even more confusing duels between the main protagonists. There's never any sense of threat or danger involved due to none of the characters having enough screen time for you to get to know much about them. The be all and end all of this "Underworld" movie is that it seems to only exist for completists and fans who will buy it anyway. If you haven't seen any of the others, you won't know what to make of it, who anyone is, or why anything is happening, and even with prior knowledge, "Underworld: Blood Wars" will still be very disappointing. Already showing in Europe since the start of December, American audiences will have to wait until January for the theatrical release. For those who are wise to these things, the fact that it's a "January movie" says it all.